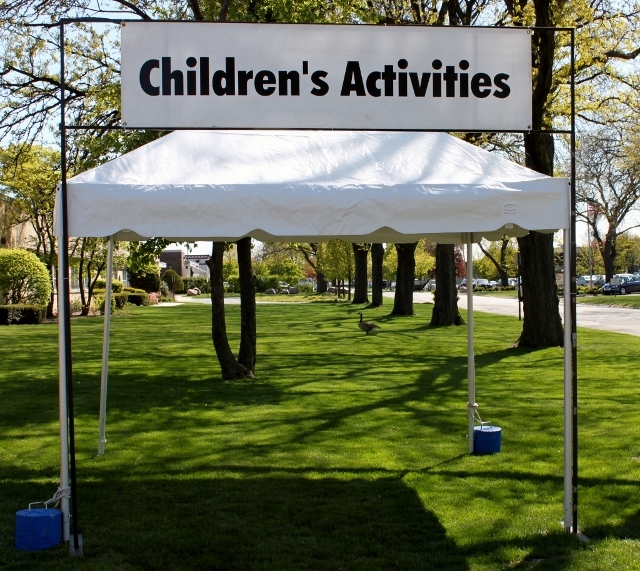 Lakeshore Athletic Services offers a wide variety of tents for special events. LAS offers two styles of tents, frame tents and pole tents and all tent tops are white. Frame tents use a rigid aluminum skeleton to support the canopy while Pole tents uses a series of upright center poles to support the canopy. Each style of tent has its own advantages. 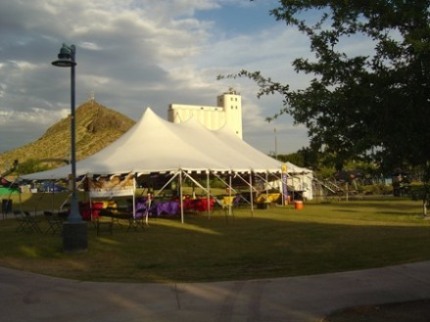 Offering 10′, 15′, 20′, 30′ and 40′ wide frame tents. Frame tents are a self-supporting tent that is erected without the use of a middle pole. They can be anchored by stakes, concrete weights, or weighted barrels according to the size of the tent. Contact us for other tent size options. Pole tents are used with a minimal number of poles but it’s durability can stand as well as any other. It can withstand winds up to 70 MPH. It is erected with large center poles that give it a peak and curved style or like the frame tents a gradual peak. LAS offers 30′ wide tents up to 205′ long and 40′ wide tents up to 200′ long. Pole tents require stakes to support the large vinyl top. Specifications: Flame and engineering certificates are available. 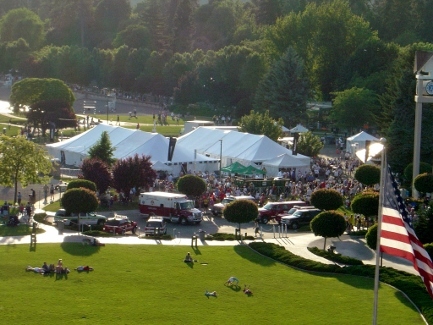 Tent Permits: Responsibility of the event organizers. LAS will provide the necessary documents to obtain local permits. Installation: All tents must be staked according to manufacturer’s specifications. Inclement Weather: Weather should be monitored by LAS and event organizers. LAS will review the structural limits of the tents as determined by the manufacturer. Tent Tops: All tent tops are 16oz flame retardant, vinyl laminated fabric. All LAS tops are block out white. Side Wall: LAS has clear and solid sidewall available for all tents. Side Poles: The majority of side poles are 7′ high. Fire Extinguishers: Required in some states depending on tent size. Exit Signs: Required in some states depending on tent size. Lighting: Overhead dome lighting in pole tents, smaller lights in frame tents. Propane Heaters: Commonly used in warming tents or cold weather environments. Fans: Commonly used in medical tents or hot weather environments. Sign Holders: Used for marking tents at expos. One example of a tent sign holder is pictured on the right or click here to view other tent sign holders. Tables & Chairs: See furniture page. Power: Generators of various sizes available for powering lights, heaters, etc. We offer 2000 Watt generators to 6500 Watts.